Feel free to get in touch with us via phone or email. Dr. Mines and Lytle see patients Monday, Wednesday and Friday from 8:30am- 5:00pm, On Tuesday’s and Thursday’s the administrative staff is in the office from 9:00 am to 4:00pm. Yes, Dr. Mines is Board Certified by the American Board of Orthopaedic Surgeons as well as an active Fellow of the American Academy of Orthopaedic Surgeons. We do not perform surgery in the office. Surgeries are scheduled on Tuesday and Thursday. Typically Dr. Mines performs inpatient surgeries on Tuesday, and outpatient procedures on Thursday. 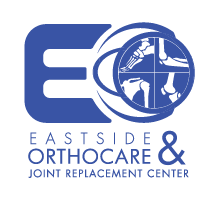 Surgeries are performed at Eastside Medical Center, Northeast Georgia Barrow Hospital, and Piedmont Walton Hospital. We have the ability to perform X-Rays in the office. We refer out to various local facilities for both MRIs and CT scans. If the doctor refers you to an outside facility the facility will prior authorize your test with your insurance company, and let patients know the costs involved of the test.